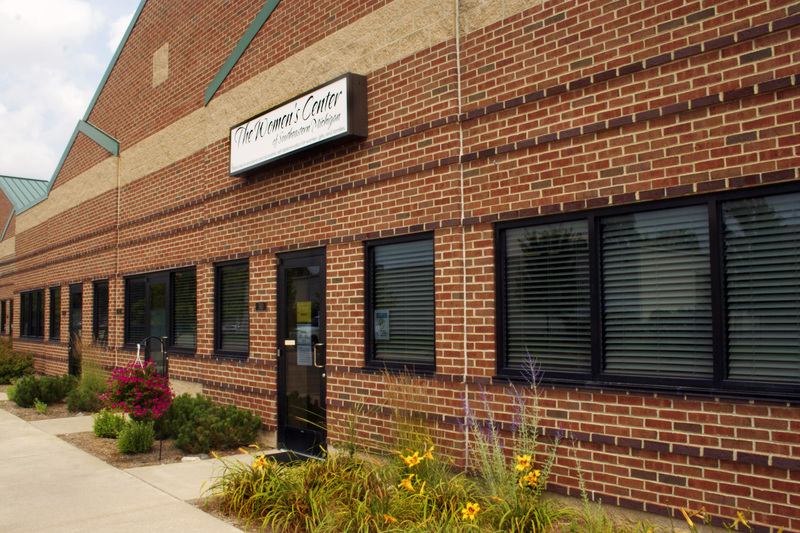 We are located in a one-story brown brick office building at 510 S. Maple Road, Ann Arbor. On S. Maple, we are between Liberty Road to the south and where Stadium Blvd splits off from S. Maple Road (in front of Westgate Plaza) to the north. 12A Miller-Liberty and 12B Liberty-Miller stop at Liberty Road and S. Maple Road; 8 Pauline stops at Liberty Road and Stadium; 9 Dexter-Jackson stops adjacent to Veterans’ Park on Jackson Rd and requires a short walk across 2 intersections. The first three routes are no more than a 15-minute ride from the Blake Transportation Center (BTC) in downtown Ann Arbor. If you are using Ann Arbor Transportation Authority’s (AATA) convenient on-line Trip Planning feature select Grocery Stores then Kroger – Maple Rd. as your Destination in the Landmark Category. Take 23 South to 14 West. Exit at Maple Road. Skyline High School will be on your right and a traffic circle at the bottom of the ramp. Exit the traffic circle at the ¾ mark, heading south on N. Maple Road. Pass through lighted intersections at Miller and Dexter-Ann Arbor. Cross Jackson Road intersection (Vets Park will be on your left and Zingerman’s Roadhouse on your right). Stay in the far right lane and follow the right turn arrow at the Marathon Station onto S. Maple. Pass Kroger and Climate Controlled Self Storage on your right. Take 94 East towards Detroit. Pass the Baker Street and Zeeb Road Exits. Exit right at #172, Jackson Road and merge right past Weber’s Inn..
After the underpass light, turn right onto Stadium at Zingerman’s Roadhouse. Take 94 West towards Chicago past the State Street and Ann Arbor-Saline Road exits. Do not follow 23 North signs to Ann Arbor! Take Exit #172, Jackson Road and turn right at the bottom of the ramp. Turn right at Zingerman’s Roadhouse onto Stadium. Follow the right turn arrow at the Marathon Station onto S. Maple. Take 23 North to 94 West toward Chicago. Do not follow 23 North signs to Ann Arbor! Pass the State Street and Ann Arbor-Saline Road exits. Exit right at #172, Jackson Road and stay in the right-hand lane.